Binance, the world’s second-largest cryptocurrency exchange by daily volume, announced an investment in Founders Bank, a decentralized banking platform based in Malta. The recent passing of pro-blockchain bills into law on “blockchain island” has made the Mediterranean nation a prime location for crypto-related ventures, and is now set to become home to a full-value blockchain ecosystem. 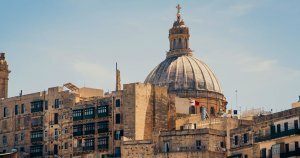 Binance’s Founders Bank investment announced in a June 12, 2018 press release, will see the world’s first decentralized, community-owned bank open in Malta. An offering conducted via blockchain-based equity fundraising platform Neufund will allow Founders bank to issue legally-binding equity tokens under German regulation. The fundraising model through which the Founders Bank will be established will integrate “blockchain-style” governance managed with smart contracts. The core goal of the Founders Bank platform, outlined in a Medium post, focuses on serving blockchain tech and crypto businesses, providing users with services such as mobile and desktop banking. The Founders Bank equity token fundraising model will be managed by Neufund, a Berlin-based investment protocol that adopts a hybridized stance on securities tokenization and issuance. By issuing equity in the Founders Bank platform as a blockchain-based token, the Neufund approach combines elements of an IPO, an ICO, and a VC round in a manner that is compatible with Maltese and German regulatory requirements. In addition to Bianchi, the Founders Bank supervisory board will include D.r Abdalla Kablan, Martin Bruncko, André Eggert, Pavel Bodark, Sonal Kadchha, Paula Pandolfino, bringing together collective experience drawn from finance industry juggernauts such as JP Morgan, Deutsche Bank, the European Commission, the World Bank, Deloitte, and the OECD. Binance’s announcement of support for the Founders Bank follows the passing of several pro-blockchain bills into Maltese law, firmly establishing the island as a fintech and blockchain development hub. The potential impact of a fully-licensed decentralized banking platform could significantly disrupt the financial landscape of the future, and potentially boost cryptocurrency adoption rates by making real-world cryptocurrency debit card purchases possible once again. The Founders Bank platform is anticipated to launch in the first half of 2019, with the Neufund-managed equity token offering later in 2018. Further details regarding the distributed banking platform will be revealed during the Delta Summit in Malta, October 3-5, 2018.